It was really fun for us because our table was right outside the kitchen (on purpose). 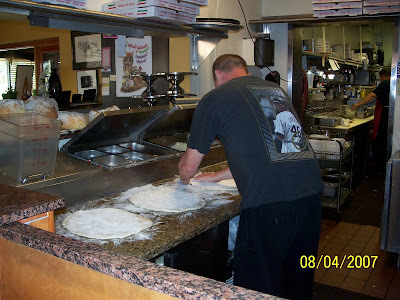 The "pizza making area" is open to the restaurant and you can watch them make the pizza. 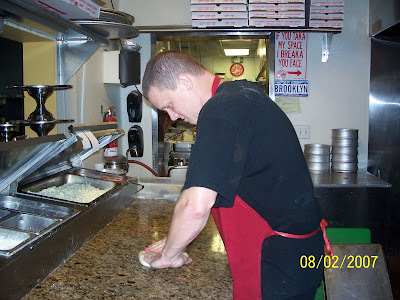 Jim was on pizza duty... but unfortunately no one ordered pizza while we were there. 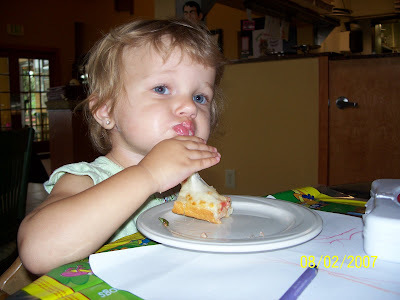 Zoe just loved the cheesy garlic bread appetizer! Since we missed out on seeing Jim's pizza making finesse the first time... we decided to come back a second time and specifically order pizza. 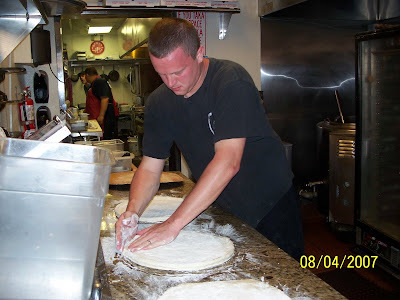 Look at those perfect pizzas! 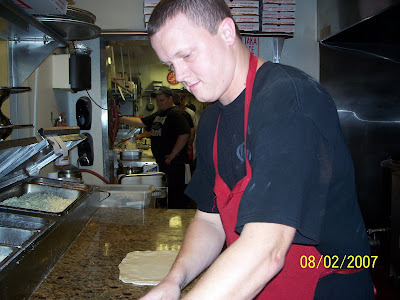 My brother is a pizza genius. They were delicious. Unfortunately you don't get to see the amazingly delicious finished product. We were all starving... and boy were those pizzas yummy!